Introducing the Top 5 topics of the week. Every week we will bring you our top 5 headlines! This week, the Billboard Hot 100 turns 60 years old, Cardi B is living her best life, DJ Khaled fires up another banger collaboration, Nicki Minaj keeps us waiting, and Demi Lovato is on the road to recovery. Tune in weekly for our top 5 headlines in addition to full length segments where we go deeper on specific topics. 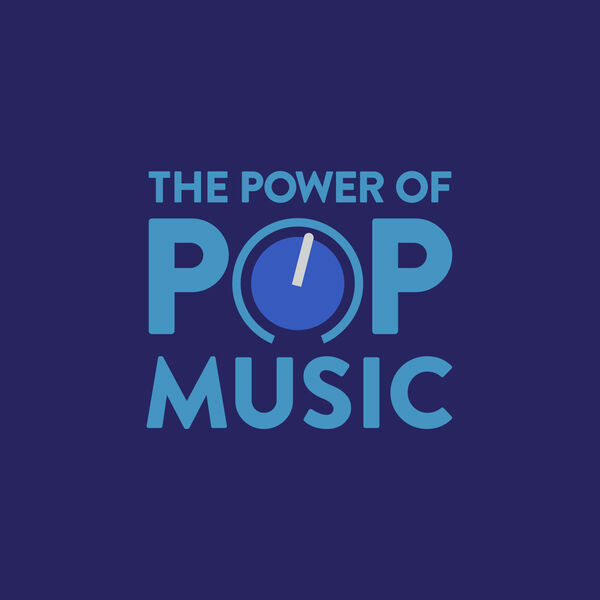 Speaker 1:0:29Welcome to the power of pop music where we discuss music, news issues, topics surrounding the music industry, and inspire deeper thought around what's happening in music. I'm your host Justin grant and I am extremely excited today to kick off the beginning of our weekly top five topics. These will be briefer prod cat podcasts where we bring you top five headlines from the week about what's happening in the music industry. Um, and we will give you a place to direct your further insight and inquiries around some of these topics that we introduce. Um, so I want to kick this off my first topic for the week. So I'm in the beginning of last week, the billboard hot 100, turned 60 years old. And what billboard tends to do is whenever they hit a big milestone, they'll do a big compilation chart. They do a year and charts for albums, singles, artists, um, about every year. Speaker 1:1:31Then they recap a decade or every five years, et Cetera, et cetera. So billboard has actually just released the top 60 artists a groups, singles albums of all time since the chart actually began. This is actually a very interesting topic too because, um, the calculations that billboard has used, especially for the singles charts has changed over time and if you think about it, that makes a lot of sense in the fifties and sixties, airplay and single sales were everything in the seventies that was born. The con, the out, the idea of the concept album. And so album charts became very, very important and critical. More like the late sixties is when that happened, um, where, and usually the Beatles pretty much a piloted that in pr and we're the leaders. Um, and then as we got into obviously, as you know, in the two thousands, streaming became a really big factor and billboard has changed the methodology about how streaming factors into these equations. Speaker 1:2:38But check out these charts. It's very interesting among the top 50 men of all time in the billboard hot 100 history. Now keep in mind the, there is a, they use a weighted percentage based on number of songs of the hot 100 that were at certain positions. Every artist gets an index based on the number of entries and the positions of those entries over time. So billboard doesn't release the exact calculation of how it factors in, but you can just kind of imagine if you were to sort of imagine, just think about how they can potentially wait these things. So among men, I'm the leader is out in John, followed by Stevie or by Elvis. And then stevie wonder that makes sense. Um, usher and drake actually entered into the top 10 among all time, which is a really fascinating. Drake's been around for about nine years and she has been around for about 25 years. Speaker 1:3:39So you know, that that's interesting to think about among women. Uh, the leader is Madonna with Mariah Carey and then Janet Jackson following, um, and then among groups, it's no surprise the Beatles, the rolling stones and the BGS. So I think what makes us really interesting is the leaders of these charts tend to be these legacy artists and groups. Um, I'd like to mention the number one song of all time for the hot 100 is chubby checkers. The twist, now I am super excited to see what will happen in 10 years when streaming becomes really, really dominant, but we're also living in a very different musical landscape among pop music because I'm artists don't, don't typically have the legacy that they, that they used to. Um, artists don't stick around as long as they used to. Only a handful of artists are, are, are lucky enough to be able to hold the attention of the public for more than 10 years. Speaker 1:4:40So I'm even mentioning among men that usher was in the top 10, um, you know, I don't know how much career us your has left you mainly because the genre that he, um, that he sings in RNB has been distilled a little bit and, and is used as a canvas for other music genres. But I'm going to get into that in another podcast. But as I look at these charts, I just can't help but wonder what will happen in about 10 years. Um, but take a look at it. It's built on billboard.com. It's really, really interesting. Um, in terms of just getting a sort of a holistic framework of the past 60 years and music more holistically. So take a look at that again, billboard.com. So onto the next topic, number two. So Cardi B is living her best life. So if you've paid attention to my other podcast, you know, I'm kind of obsessed with Cardi B. Speaker 1:5:38I'm not obsessed with her musically, but I'm obsessed with her as um, as a brand. Um, but she recently obviously gave birth to her daughter culture that she had with Mitosis, offset. She cancelled on her tour with Bruno Mars. She was supposed to start that this month in August. She cancelled on it because she realized the how taxing it is for her to be touring with a newborn and a, which I totally respect that. I think she should be focused on being a mom and I can only imagine how hard it is to have a newborn in the music industry when your career is as on fire as hers is. I, so I respect that decision. Um, her and offset also in, um, when I mentioned them from living their best life, they recently bought two Lamborghinis, um, hers is, hers is blue and his is neon green and they posted a picture of it, um, which I was like, all right, you get yours. Speaker 1:6:40Awesome. Um, but then a lot of people started backlashing saying that they, they leased the cars and that, um, you know, she can't afford a Lamborghini, you know, whatever. I feel like people say stuff like this all the time. There's always gonna be haters that are coming out of the woodwork and, you know, whatever. So a cardiac in retaliation, and I think this is so ridiculous, but she posted a picture of her bank statement that showed that she actually paid $548,000 at the Lamborghini dealership for two lamborghinis. So that's great. There was also a charge $150 spent on a spa day, um, which I would, if I was Cardi B, I'd be getting more expensive spa treatments, but, you know, whatever. And then she also spent $64 at waffle house. So, um, I would like to know what you got at waffle house for $64. Um, that sounds like quite a lavish brunch and I didn't know, do they have mimosas? Speaker 1:7:47I have no idea. But I also think this whole move was very ratchet, but it was very unbrand for Cardi. Um, so I kind of rolled my eyes. I think a lot of people are loving it, that she's sharing her bank statement online for everyone to see. Um, but it does reveal how amazing her life is right now. And so I guess you go Cardi, but I still think it was a ratchet move in my opinion. Um, so that's Cardi my third topic is, I don't know if you've heard dj Khalid's new release called no brainer features. Justin Timberlake, Kwaito and chance the rapper. It's very much done under the same formula as last. Summer's Bangor. I'm the one, um, this song, the only difference between this one and I'm the one that there's two differences actually is number one, little Wayne's not on it. And I'd like to kind of know why that is. Speaker 1:8:45And number two, I would say justin bieber really shines on this one, which just kind of leads us to, I think we want more of Justin Bieber and we really care about his engagement. We don't really care about is his new religious beliefs. Uh, we just kind of want more music. Uh, I think he made a big leap with his 2015 purpose album, which was also nominated for album of the year at the grammys. But this track is, is, is a banger. I would encourage you to listen to it again. It's called no brainer. I predicted it would land in the top five of the hot 100, uh, for it's debut and it actually landed right at number five. Um, so again, a fire song, a perfect song for the summer. Um, and I think I'm in the pop music scene. A Dj Khaled is kind of like the magic glue. Speaker 1:9:39Um, I don't know what else he does, but he does have an ability to bring artists together and there is definitely a demand for Justin Bieber. So the songs awesome. I fully support what they're doing. Um, I think chance adds a lot to the track. I'm, I think Kwaito probably doesn't, but we can get into that later. I think [inaudible] was very over exposed musically because he's on so many features and everyone wants him as part of their song, but in general it's a good song. I would highly recommend you to tune in and listen to it. Number four. So it was announced last week that Nicki Minaj is pushing her latest album release queen back by a week. It was originally supposed to be released in June that was then pushed out to August 10th and now it's going to be released on August. 17th. Lot of rumors are swirling around. Speaker 1:10:39I think I'm, Nikki is trying to figure out how to maintain her position as the Queen of hip hop and R and B or hip hop and rap. Um, obviously cardio's on the scene now and that's offering a lot of competition. I also think it's competition that Nikki should use to be inspired by and not necessarily threatened by. Um, and with the release of her first two singles that she released in April, they didn't perform as well commercially as she had hoped, which I think was the main factor in her pushing the album out so she can really tighten up the concept and the tracks. And so I respect her channeling her artistry. I also heard a rumor that she is trying to sample a song from Tracy Chapman and Tracy Chapman's camp has not responded to the request and there was a tweet in which she said she was going to release it any way if she didn't hear from them. Speaker 1:11:40So we'll see how that plays out. I'm anxiously waiting for Queen to be released so that I can dive into what nicky is doing. Um, so let's keep our eyes on Nicki Minaj people and then the next one. So as you know, it was very public. Demi Lavato unfortunately overdose. She's been very public about her struggles with addiction and mental health. Um, and she was in the hospital for over a week and a half. She is finally home from the hospital and she wrote an open letter to her fans to thank them for their thoughts and their prayers and for sticking by them. I, my heart goes out to demi. Um, I can only imagine what it's like to be a sort of under that spotlight and have this, this struggle be so public. Um, and um, you know, she's a fantastic, fantastic singer. Probably one of the best singers that we have in our commercial pop scene today, even though a lot of her best songs kind of get buried in her albums and don't get a lot of radio play.